Despite the housing market still being in shambles after the housing boom and bust this decade, many people are drawn to home ownership as part of the American dream. While owning a home has a lot of great benefits, it isn’t all sunshine and roses. There are many significant reasons you shouldn’t buy a home. If any of these 8 statements below apply to you, buying a home is a risky option at best. Is Owning a Home a Good Financial Decision? Stop and deeply consider your home buying decision before you sign on the dotted line. If any of these apply to you, you’re taking on a big risk. Home ownership is expensive to get started in, and even more expensive to leave behind. What many owners fail to recognize is that on top of a down payment, monthly principal and interest payments, and homeowners insurance there is a hidden cost at the end of home ownership: realtor commissions. You will pay 6% of the sales price of your home to the buyer’s agent and your listing agent when you sell your home. For a $200,000 home that comes to a $12,000 realtor bill. If you don’t plan to stay in the home for a long time, it will never have a chance to appreciate to help cover the cost of your realtor commissions. Moving around from city to city will cost you a fortune in realtor commissions. Buying a home means you plan to put down roots in the area for quite some time. In the heyday of the real estate boom you could put 0% down on a home, and in some instances even get additional cash back to furnish your home. With the recent market condition those no money down loans are no longer available, and for good reason. Putting nothing down — or really, less than 20% — leaves both you and the bank at financial risk. Your home value doesn’t even have to fall for you to become a risk when you put 0% down because you still have to pay realtor commissions if you want to sell. Taking time to save for a down payment shows you are serious about home ownership, and opens the door for banks to finance the remaining 80% of the home purchase. When you rent an apartment or home, if something breaks you call the landlord. Your only responsibility is to avoid negligence and to pay rent. If the refrigerator dies, the landlord pays for it. If the heater goes out, the landlord pays for it. As a homeowner these items are now your responsibility. You need to be financially prepared for these expected home maintenance and emergencies. If you can’t handle that responsibility, then owning a home is not for you. It can be hard to see all of your friends running off, getting married, buying the nice house with the white picket fence, and filling it up with kids. But if you are single you don’t really need 2,500 square feet. That is overkill. Don’t buy a home because everyone else is doing it or because you think you’ve found a good deal unless you anticipate needing the space within a few years. Even if you found a great home, renting may still be less expensive. If rents are 30-50% less than what you would pay in mortgage costs, your real estate market is out of whack. While renting isn’t perfect — noise from neighbors, the place isn’t really “yours”, and so on — the cost savings can be well worth it. Pocket the difference in what you would pay in mortgage payments and rent payments, save up, and buy a home once your real estate market settles down. When you sign your mortgage paperwork you are agreeing to 15 to 30 years of payments. The bank isn’t going to offer a shoulder for you to cry on if you can’t make the monthly payment. If your job isn’t secure or you work in an industry that could disappear overnight, you should have significant financial reserves before pursuing home ownership. Otherwise you could be on the hook for thousands of dollars in payments and no way to pay them. Your credit score will be ruined. In the 2005-2007 time frame, housing was seen as one of the easiest yet most lucrative investments around. You could buy a home for $150,000 today, and sell it for $250,000 in two years. America got hooked on real estate being a fantastic investment. The reality is that historically housing has returned about a 1% return. While positive, that isn’t even close to the “fantastic investment” territory. A home is place to live, and a roof over your head. Looking at any other way is folly. Signing up for a mortgage means sitting at a conference table with a huge stack of paper. There might be a hidden catch somewhere within the stack that you haven’t discovered, but if you just breeze through the paperwork you will end up being fooled. A bank giving you hundreds of thousands of dollars is big deal, and you should treat it as such. Read the fine print very carefully and make sure you know what you are getting yourself into. All the points stated above are good reasons NOT to buy a home. In most of these situations the home owner would lose money. Great article, Kevin. I think on the whole we’ve really been oversold on the idea of homeownership. While it’s great for some, it’s not the answer for everyone and doesn’t always make sense – financial or otherwise. After owning homes for the past 20 years, I’m putting mine on the market this week and don’t plan on owning again. I’m looking forward to the freedom that comes with that! While I think this is an interesting piece I don’t think most issues are as black and white as they are stated in this post. I think the larger factor, one that wasn’t even touched on, is to buy within your means, it may seem very obvious but so many people over leverage themselves and then there is no way to recoup. We just purchased a place a few months ago, it’s way larger then we need, but we got a great deal on it, it is more work (previously we were both renting) but it’s a great feeling knowing that every month we make a mortgage payment we are saving the principle and building equity. Then there are tax savings of home ownership and if nothing else there is satisfaction and pride in owning, not to mention freedom that does not exist with renting. I never recommend someone over leveraging themselves to get into a home, but it’s certainly not a bad concept for many people. Let’s see what I have to say about this in another decade! I’d by 100 homes right now if I could. Interest rates are low, and homes are super-devalued making the home rental market a money maker. You make some very good points for not buying a house. For some people, it’s not the right thing to do. However, I respectfully differ with you on a couple things. You overlook the fact that for people that are in a position to buy a house, and have cash or good credit, there will likely never be a better time to buy. Prices are at historic lows, and investors are buying now in preparation for next upturn in the economy. Regarding realtors, usually you pay a realtors fees when you sell a house, but when you purchase a house, the seller pays all realtor fees. What time frame are you looking at for historic housing values? In the long term, housing prices have always been on an upward trajectory, buy not necessarily in the short term. According to US Census Bureau, from 1940 to 2000, the average national increase for houses was 5% per year, adjusted for inflation. This, of course, doesn’t include the most recent recession, but the houseing market is characterized by ups and downs. Short term buyers should beware, but long term investors and home owners, can, and do, build wealth with real estate. 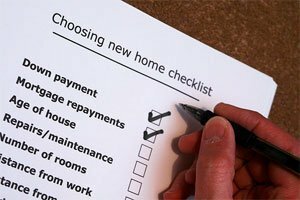 Basically owning a home comes with many additional responsibilities. Maintaining your new home is pain as well. There are many cons for buying a home but it could turn into a good investment especially if you decide to buy one in current economy. I don’t think most people who buy a home realize all the hidden costs that are involved. You bring up some good points that people should consider, since it is such a detailed process. Great points although #3 does not apply to us. My husband and I are not interested with any maintenance work, but we still decided to get a house we can call our own. According to my husband, “Let the plumbers and electricians do the job. That’s why they are here and that’s why you pay them.” Yes, we may not be saving with the maintenance and repair aspect but we would rather pay and ensure our safety than do it myself and risk our lives.